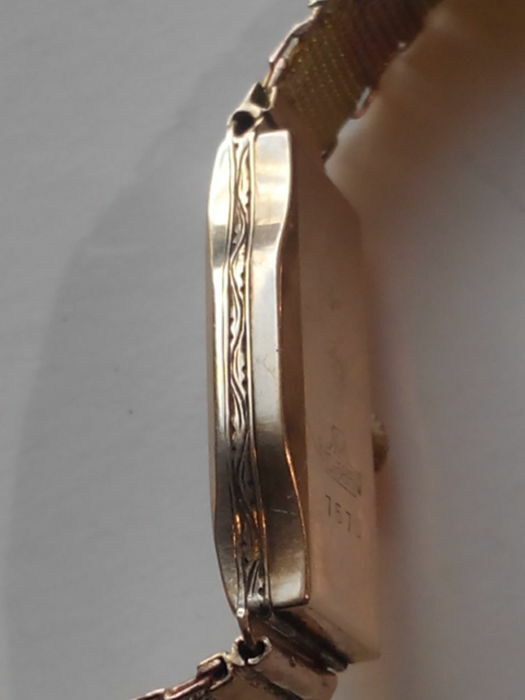 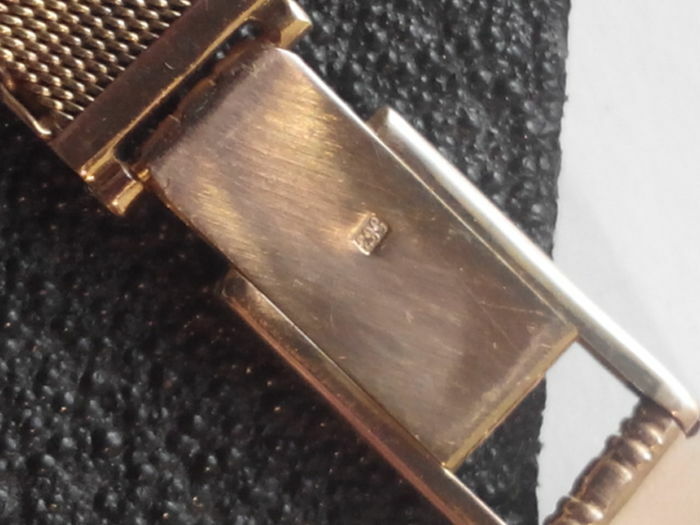 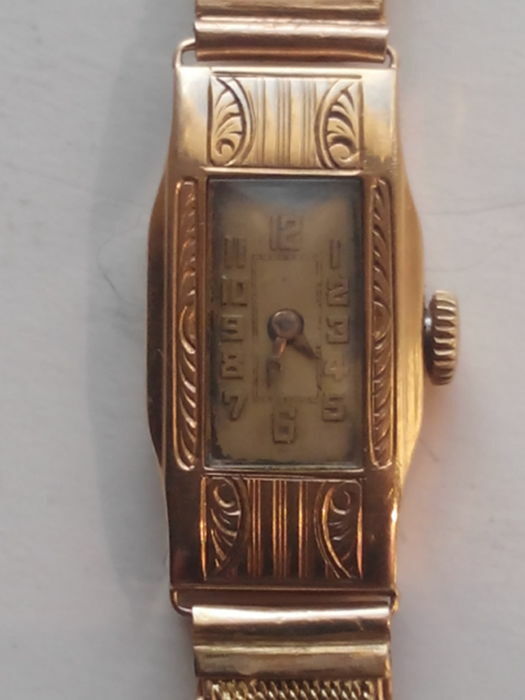 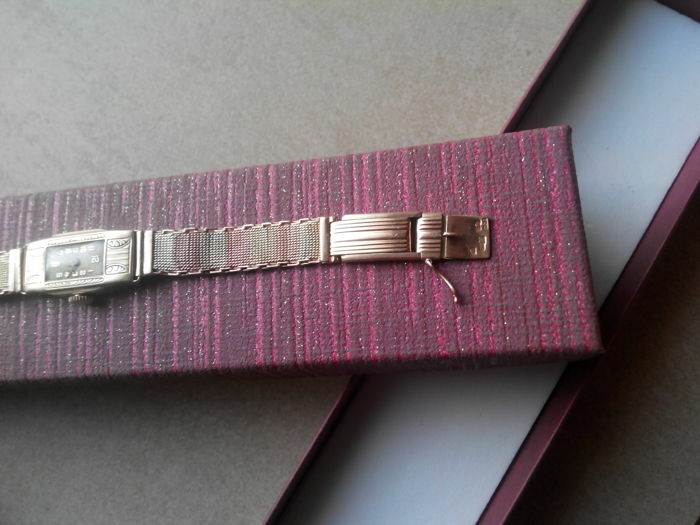 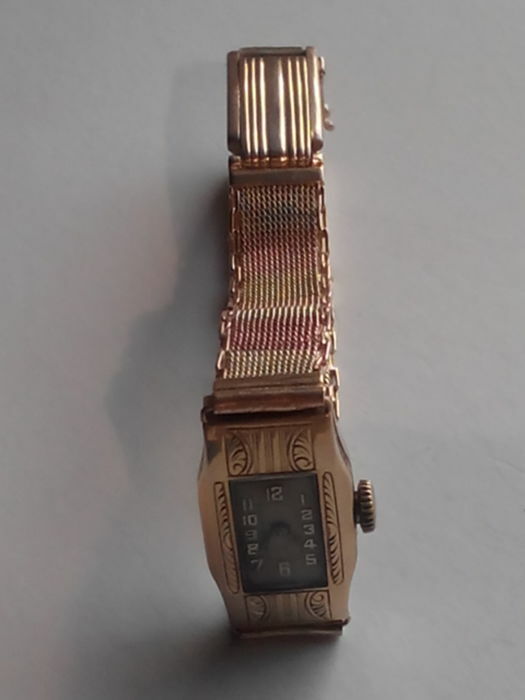 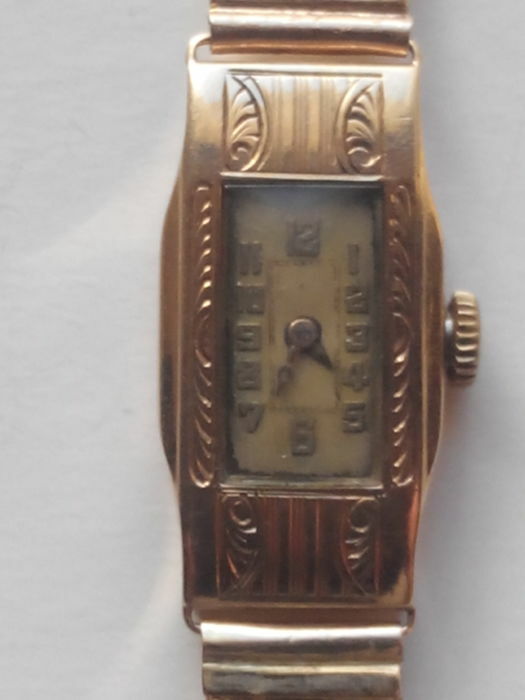 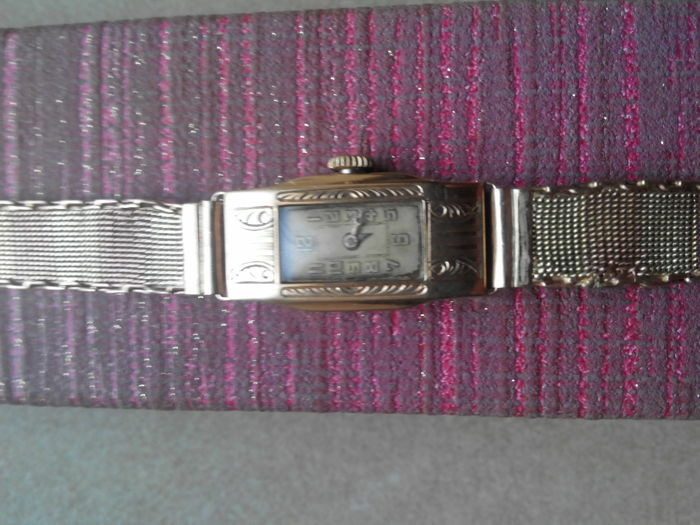 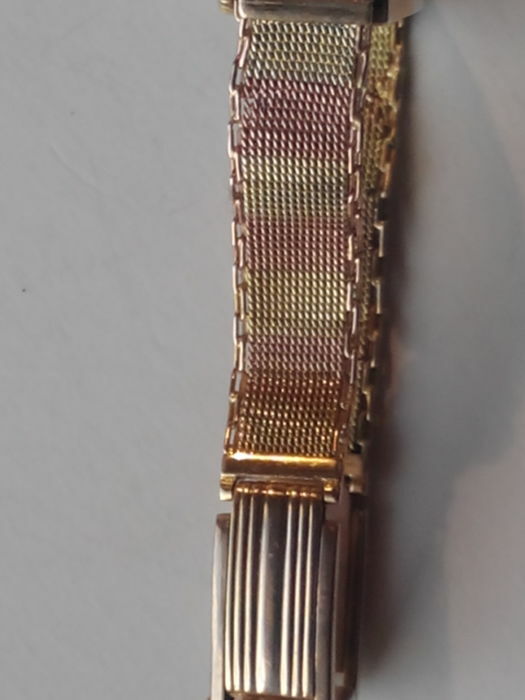 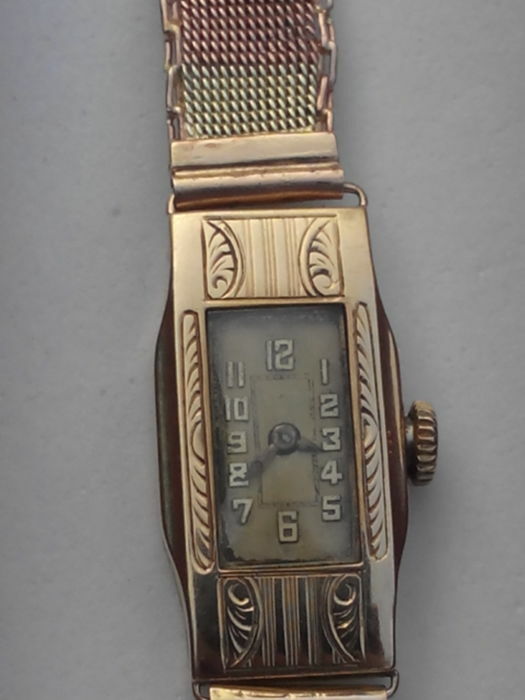 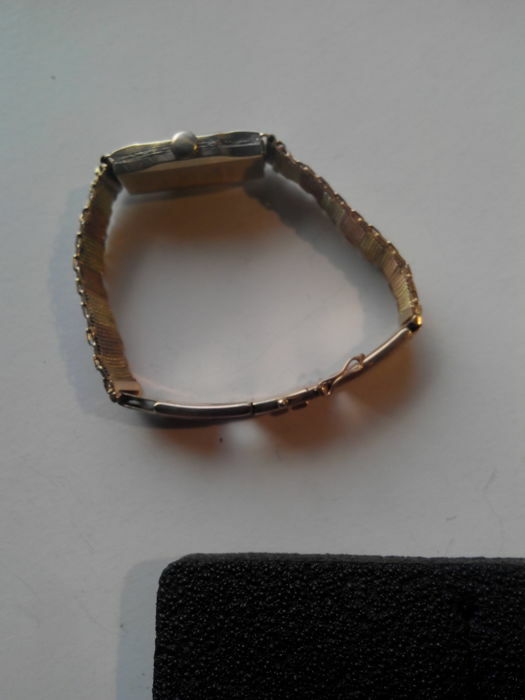 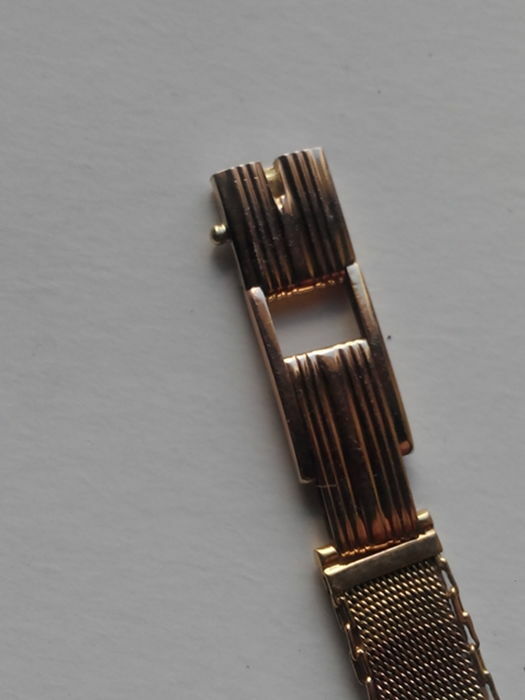 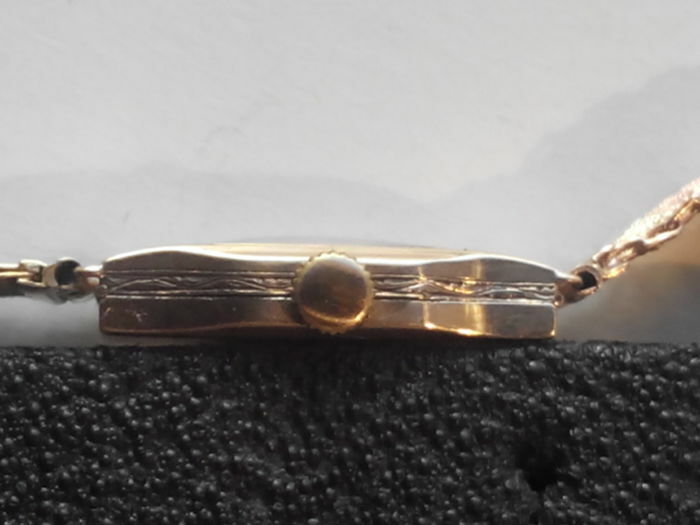 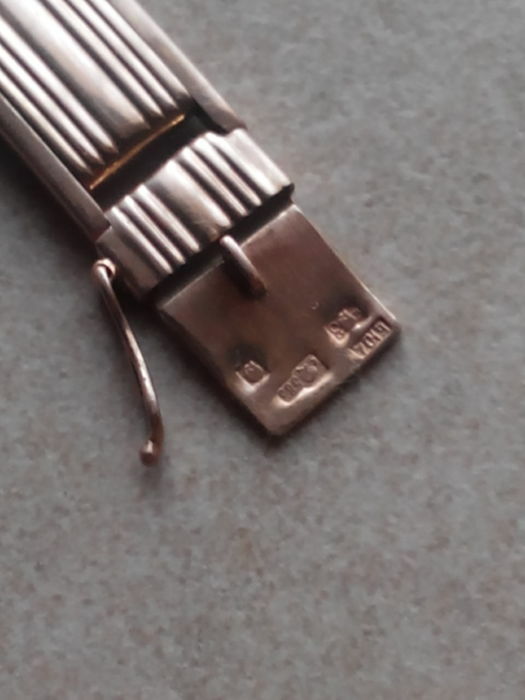 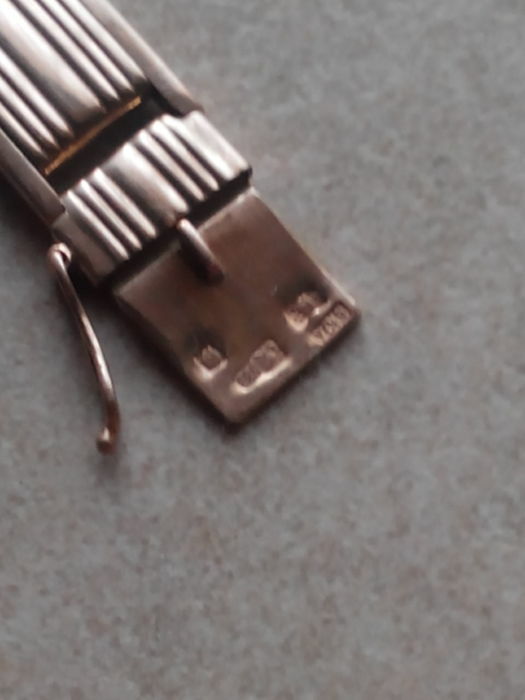 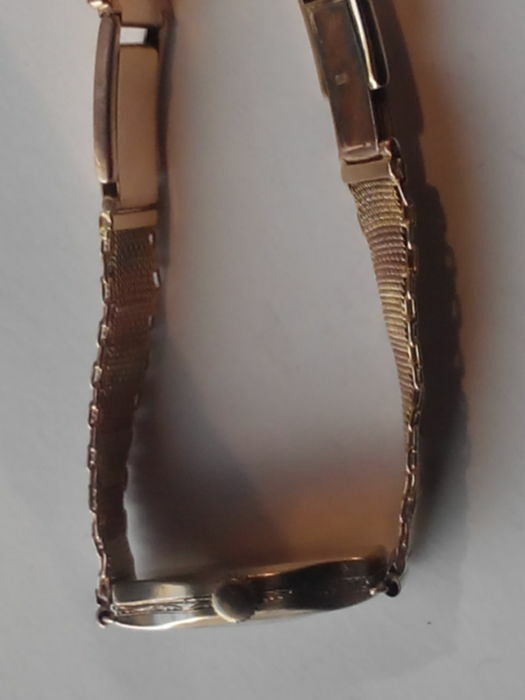 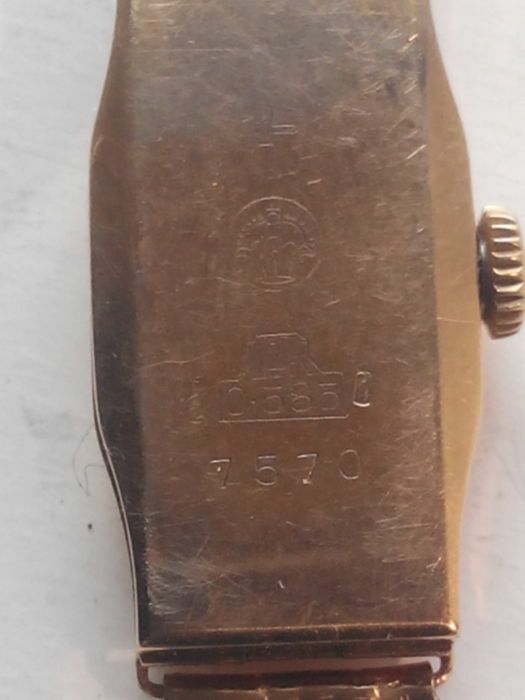 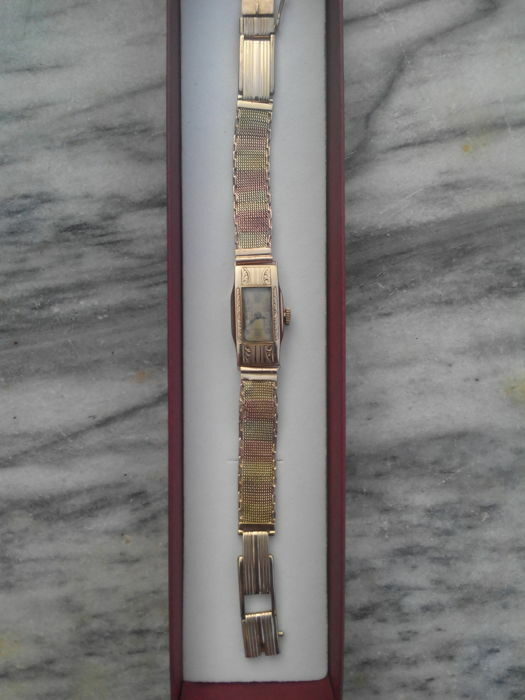 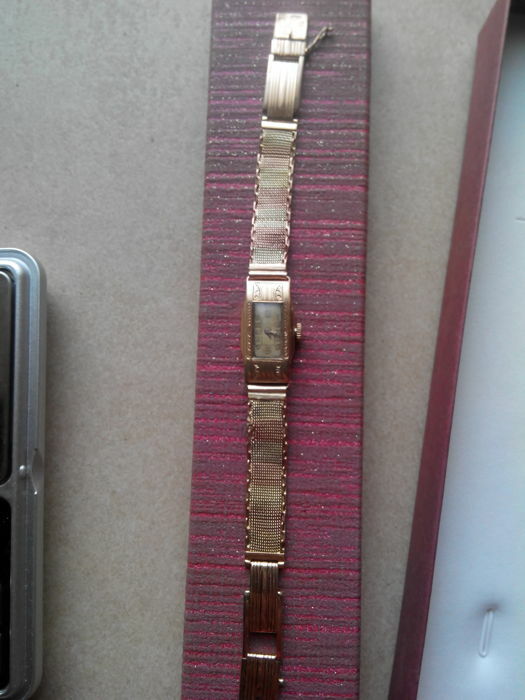 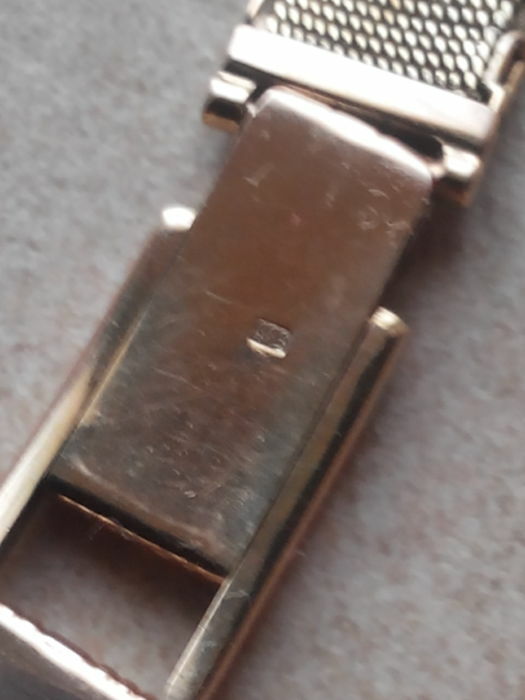 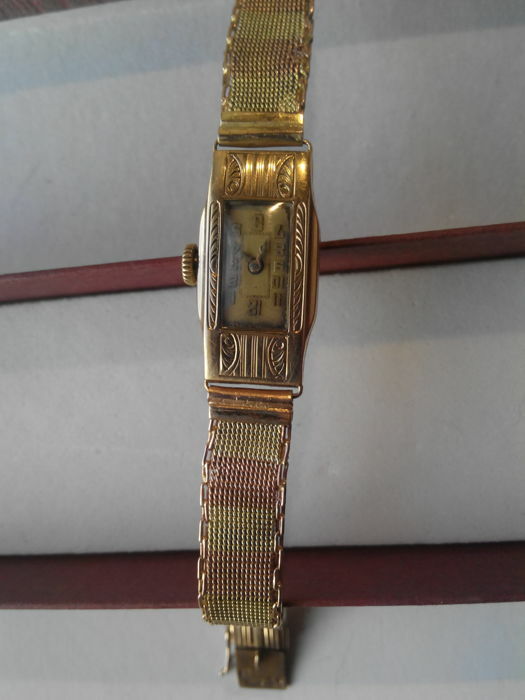 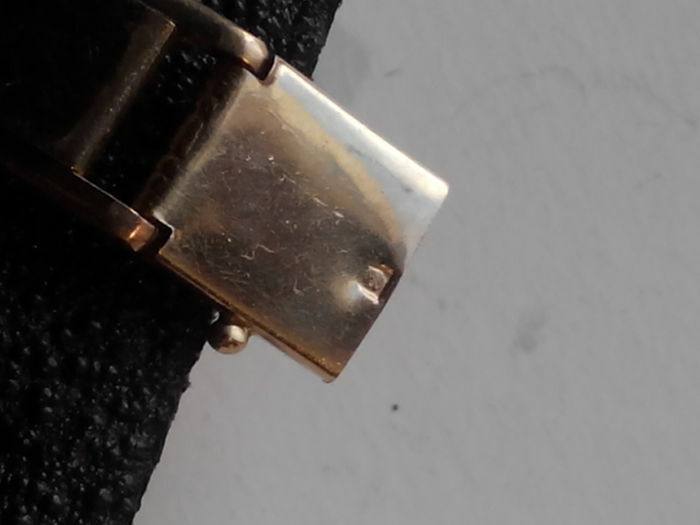 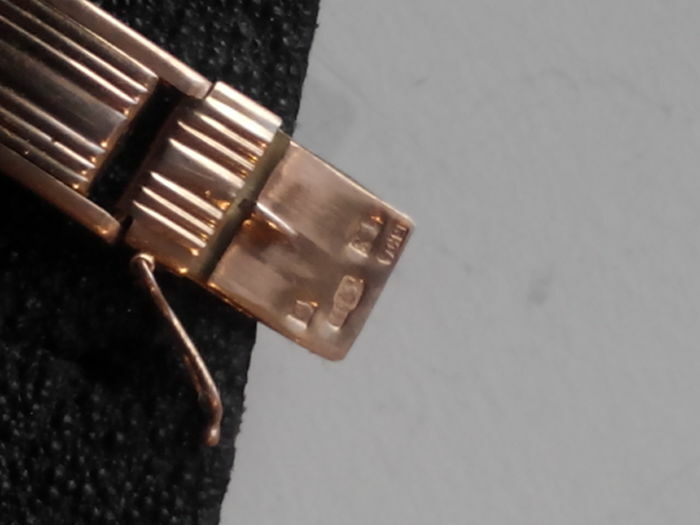 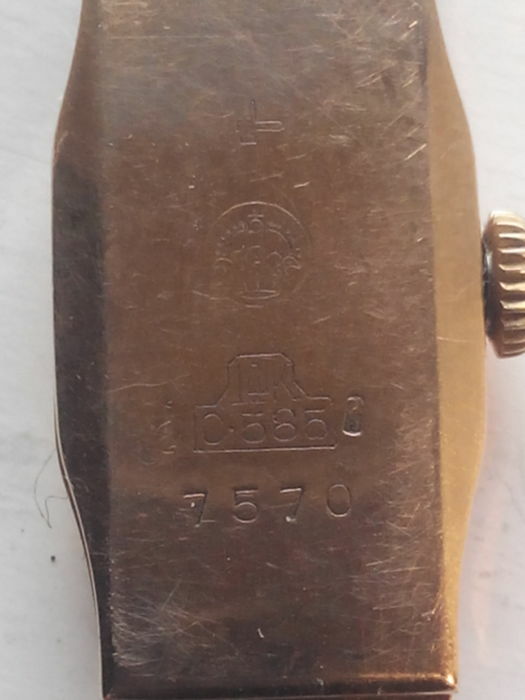 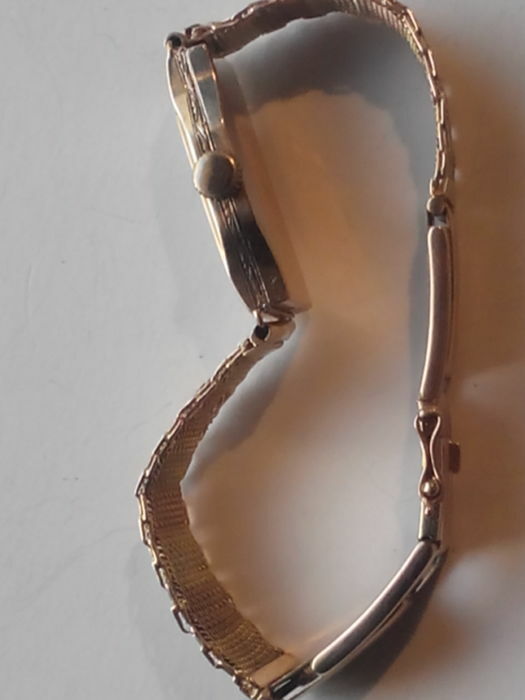 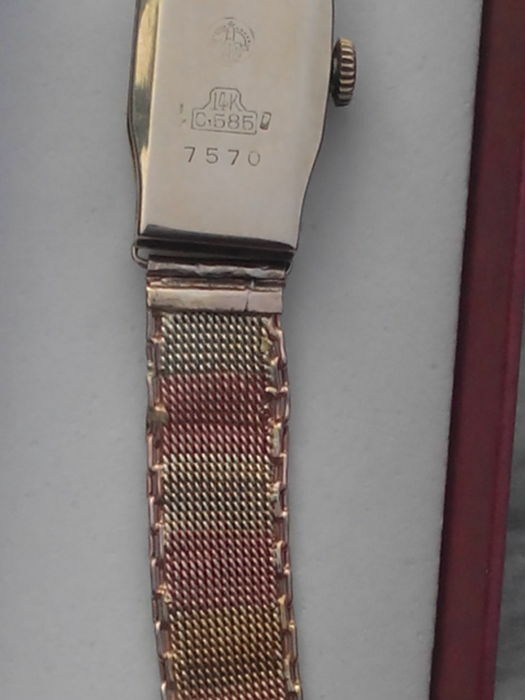 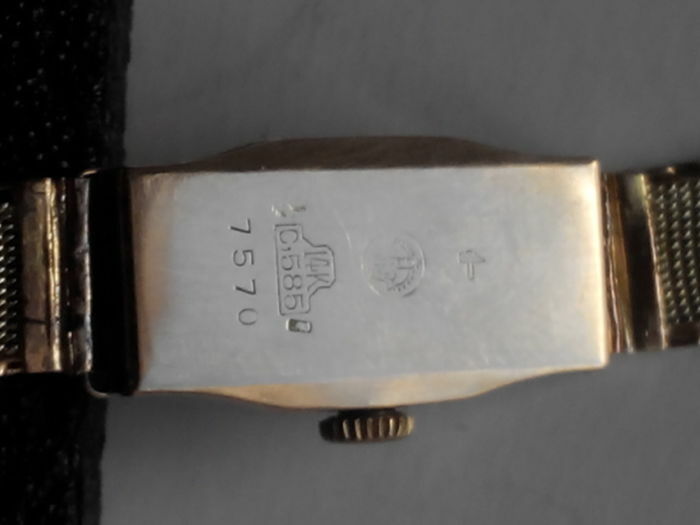 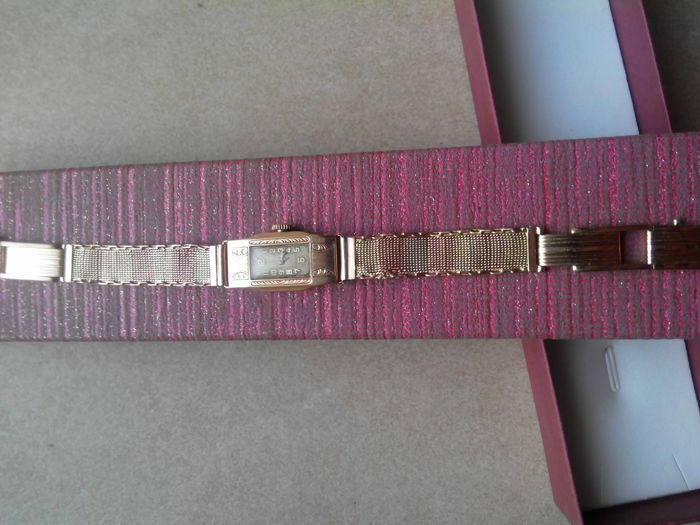 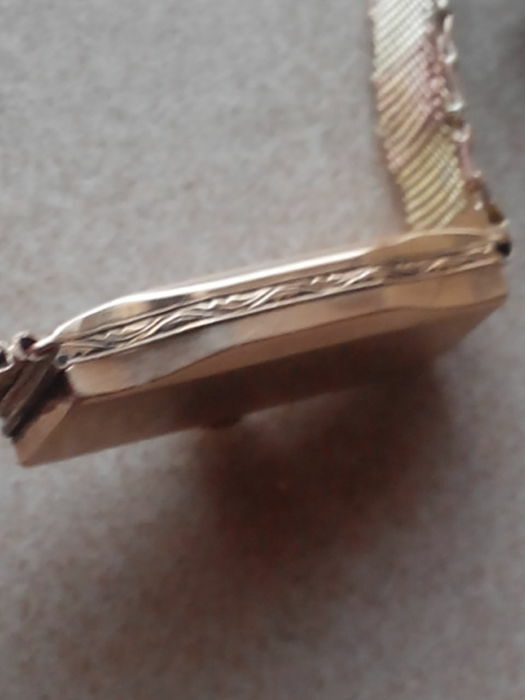 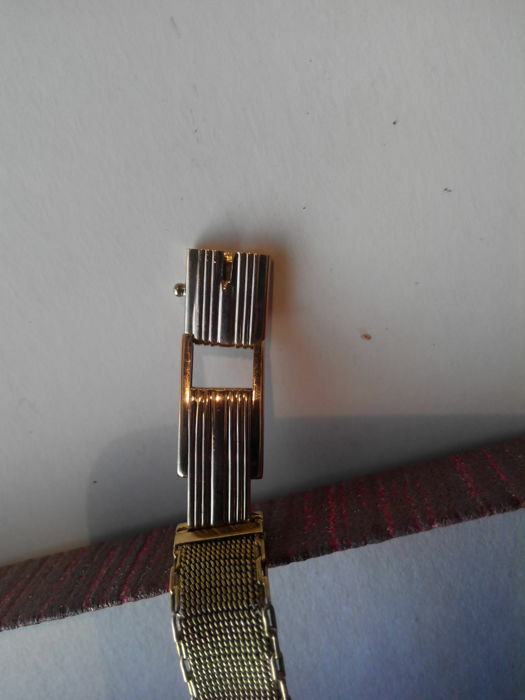 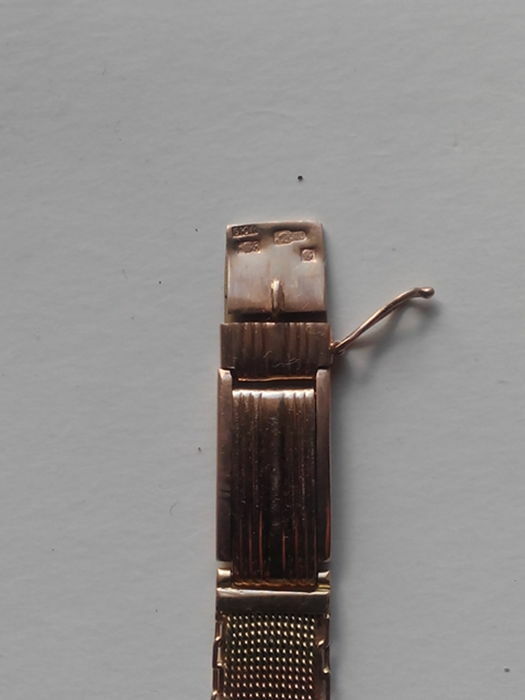 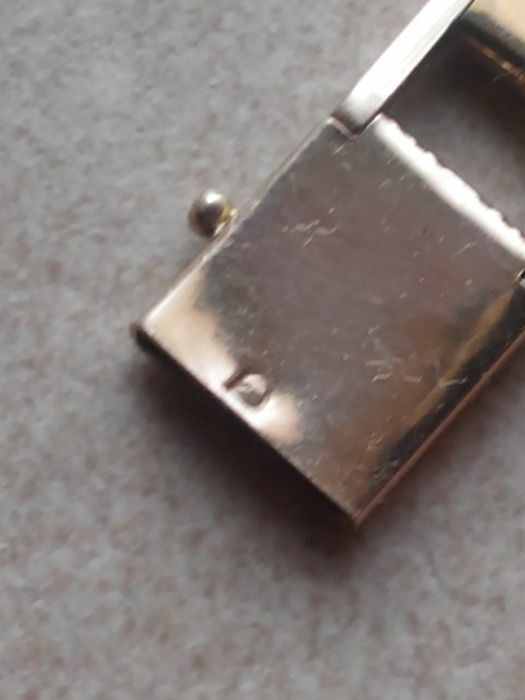 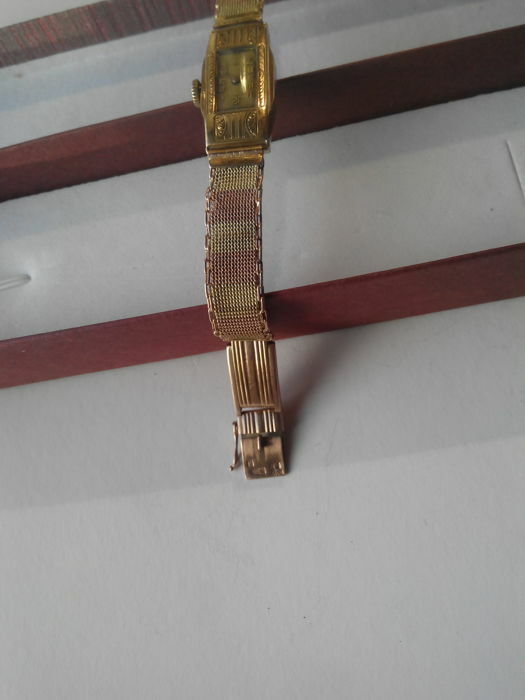 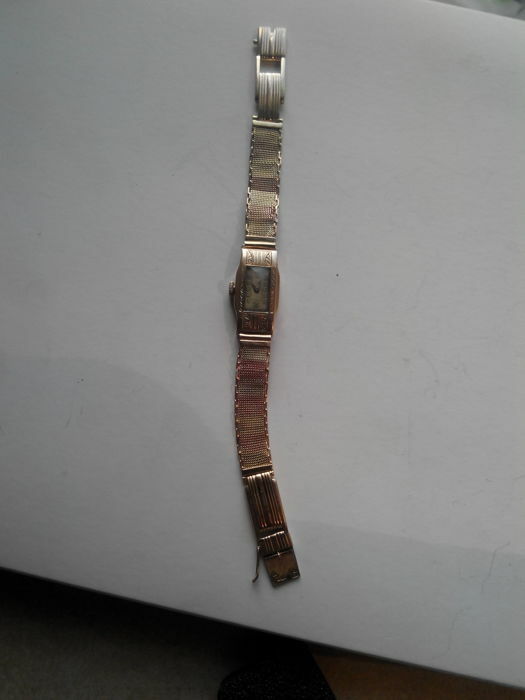 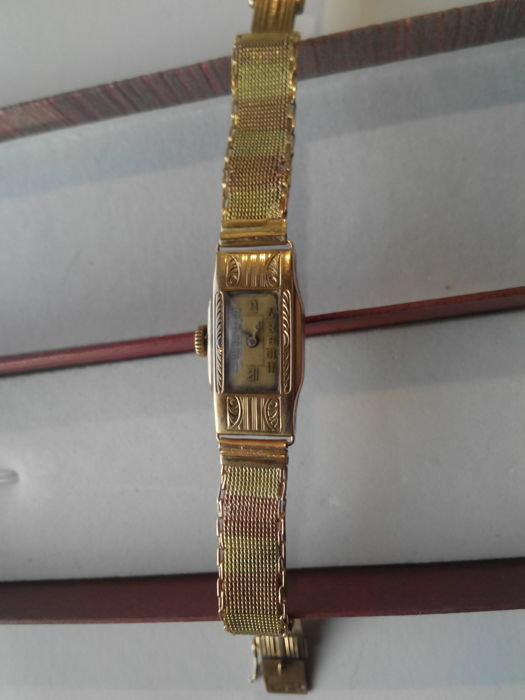 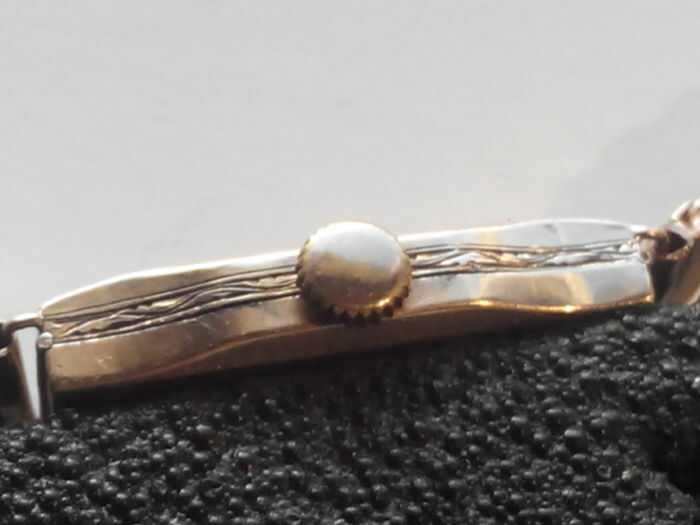 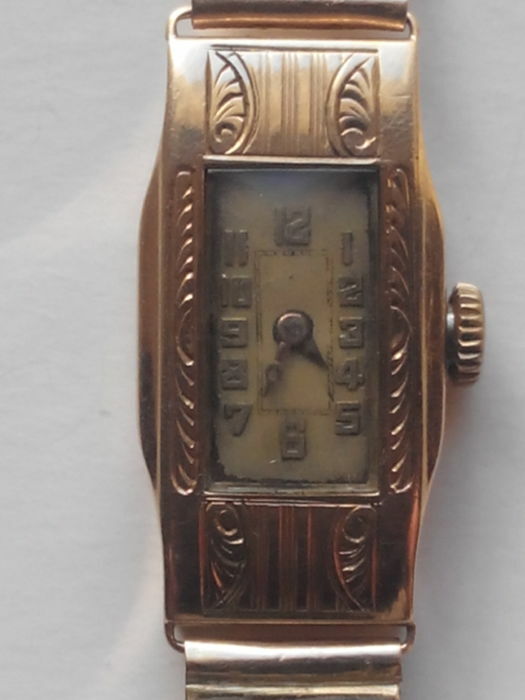 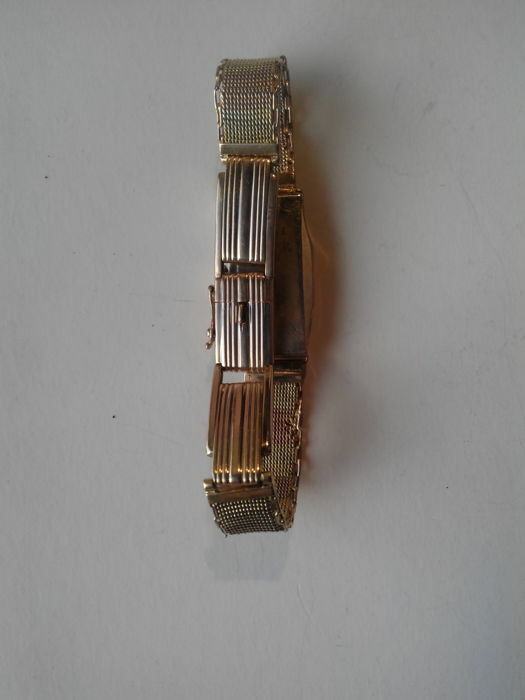 I am selling a gold women's watch with a gold bracelet from 1920. 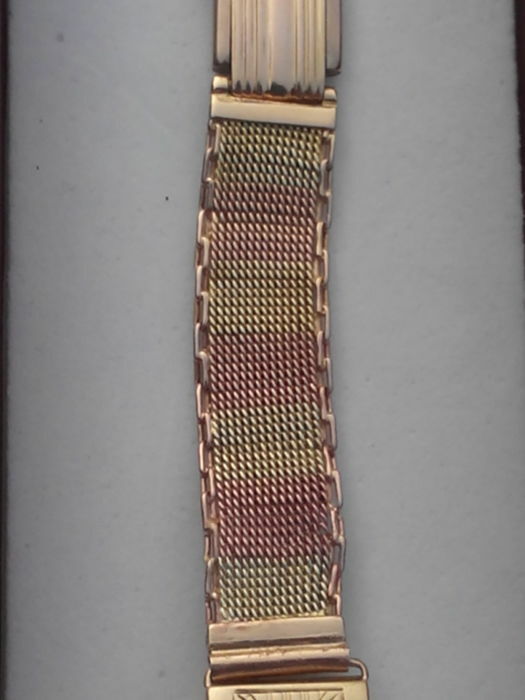 Bracelet from a two-tone yellow and red 14 kt gold, width 1.0 cm/10 mm and length including the watch 18.5 cm. 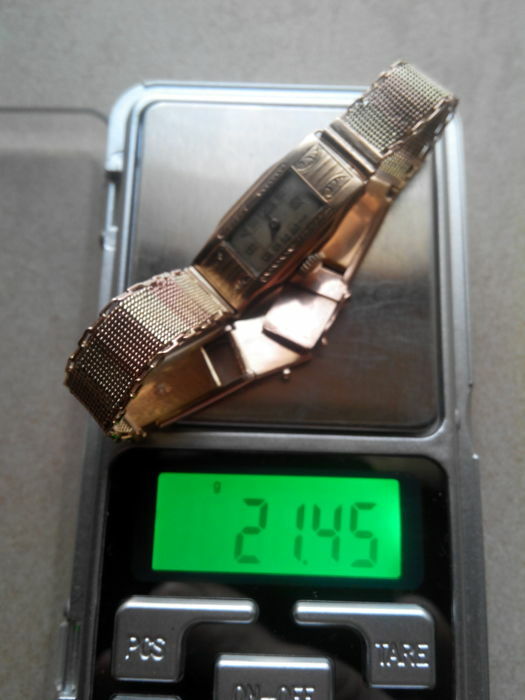 14 kt 585 gold casing, width without the crown 1.4 cm/14 mm, length 2.6 cm/26 mm. 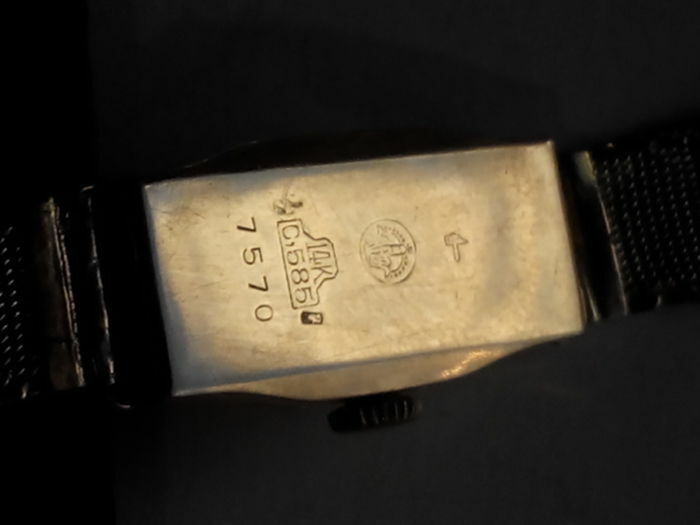 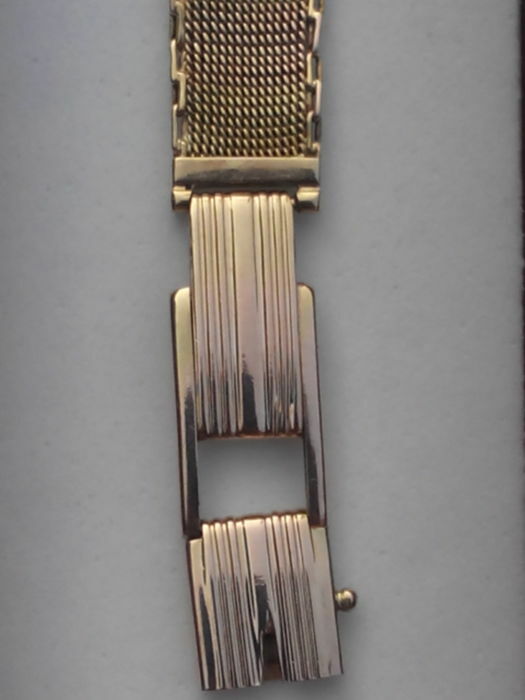 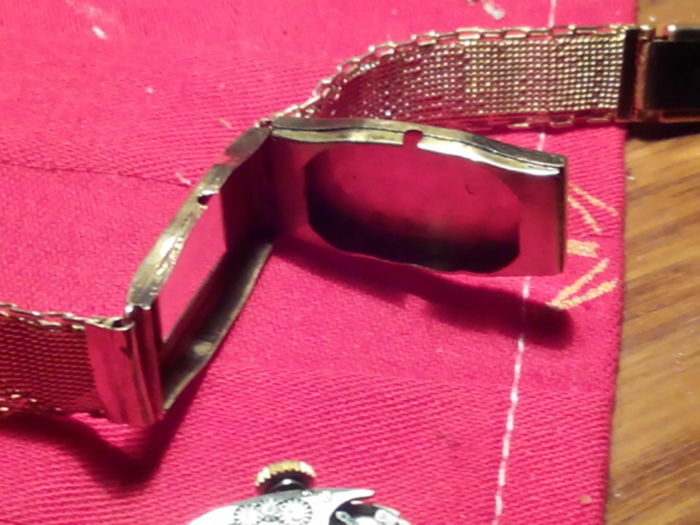 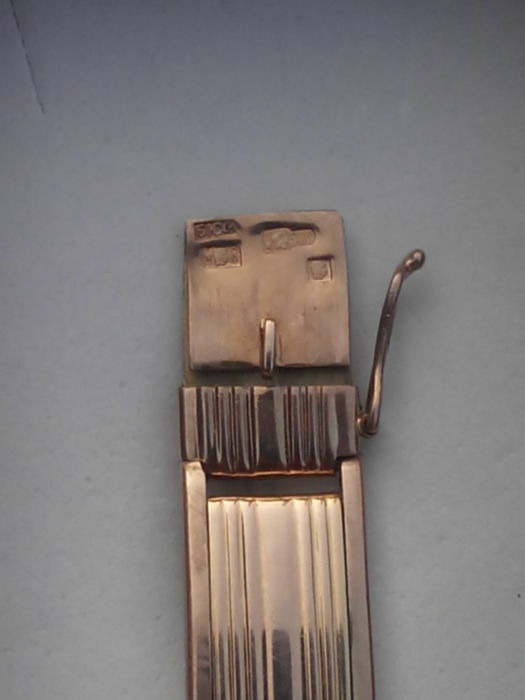 Weight of the watch with the bracelet: 21.45 g.
Year of production: circa 1920. 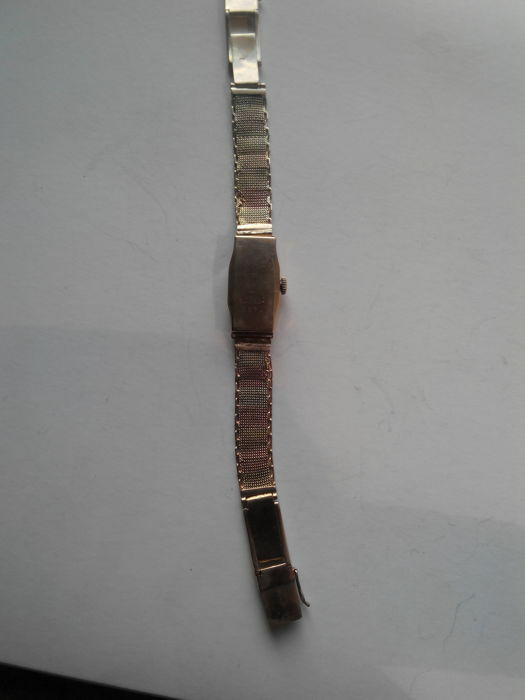 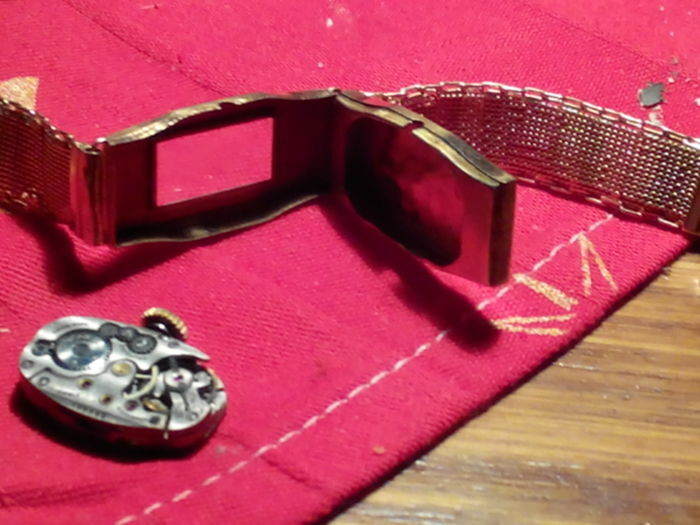 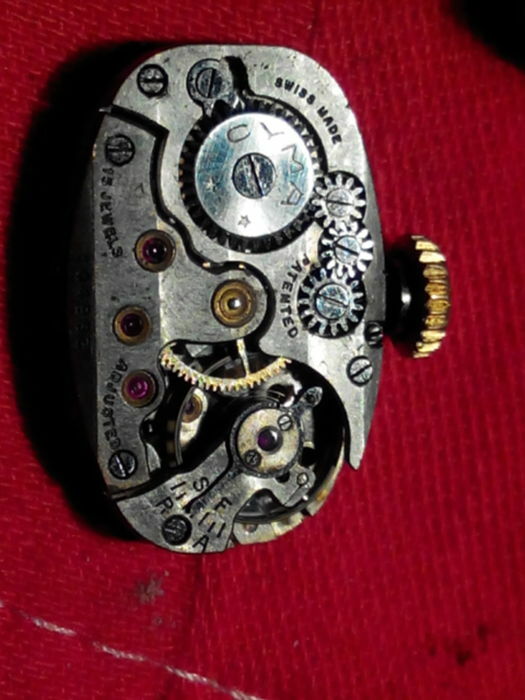 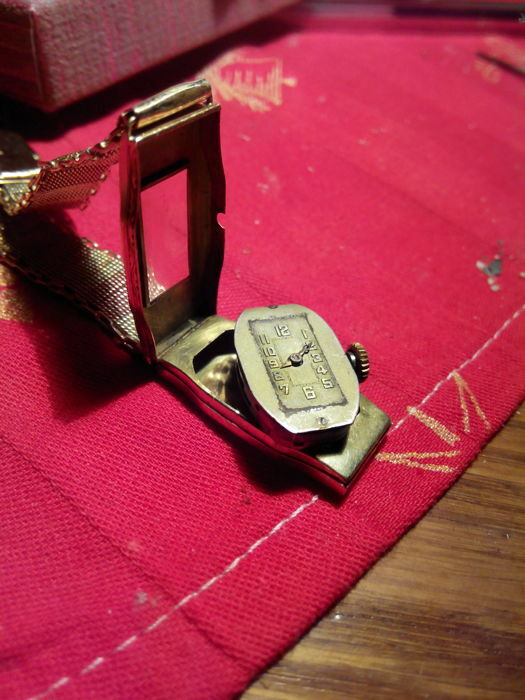 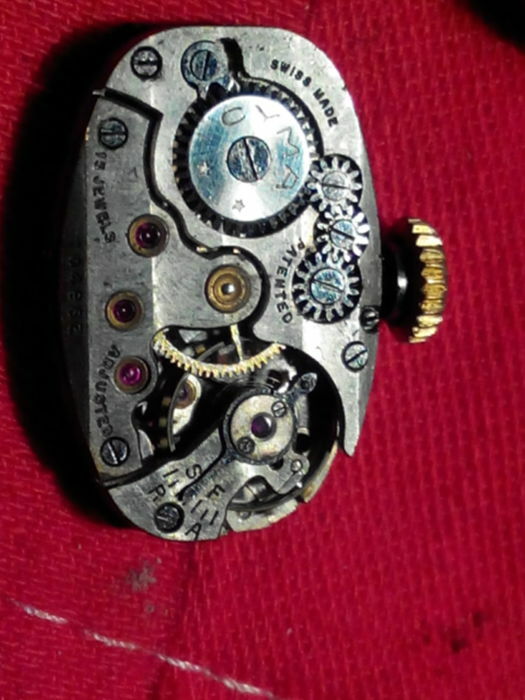 The watch works after watchmaker servicing as well as refurbishing and cleaning by a goldsmith. 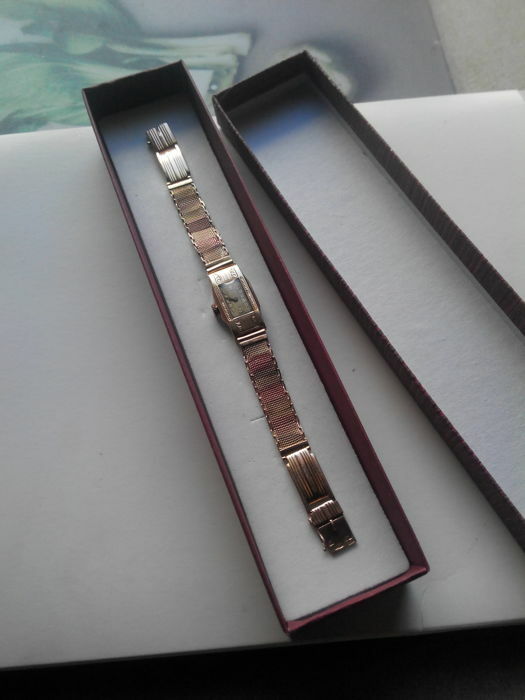 No documents, a replacement box is included. 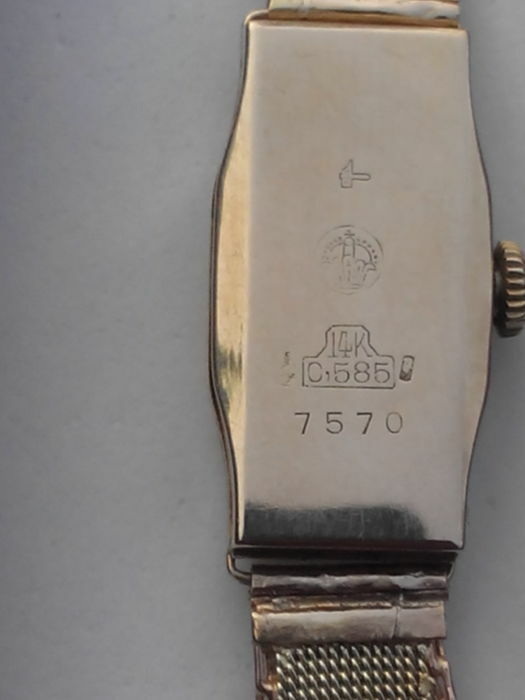 Insured, declared value courier shipping. 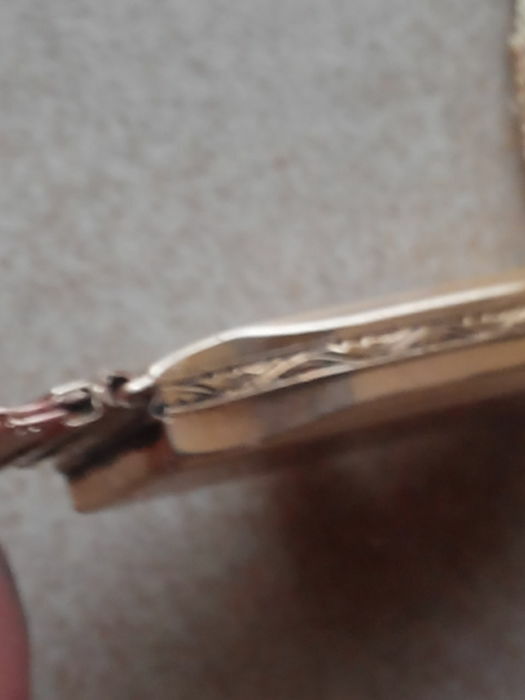 U kunt dit kavel ook ophalen bij de verkoper: Bielawa (dolnośląskie), Polen.